The drive from Atlanta to Athens, Ga. usually takes about 45 minutes. However, when the weather turns bad, it can take much longer. That is why, on a drizzly morning, we woke up early in our Atlanta hotel to make the trek to the college town to the east. Our destination was the Terrapin brewery where we were to meet up with Brian “Spike” Buckowski, brewer and co-founder, for a tour of the facility and a chat about how it came to be one of the quintessential breweries of the south. From the outside, the brewery building gives little clue of what happens inside. It is situated on a road with other industrial buildings just outside of Athens. We pulled in and dashed through the heavy mist to the reception area where we sat with a rather friendly brewery cat and waited for Spike to arrive. Minutes later, Spike passed through the front door, coffee in hand and greeted us warmly. Spike and I had met several times before, but I got the feeling that he just genuinely likes meeting with and talking to people, particularly if it is about his beer. After a few pleasantries, we donned safety glasses and walked into the mammoth brewery space. Production was busily going on as bottles were filled and palletized. We were treated to a tank-top view of their 100-barrel brewhouse and the control room where Spike works his magic. Along the way, John Cochran, president and co-founder of Terrapin joined us. Spike and John met in 1997 while working at a brewery in Atlanta. 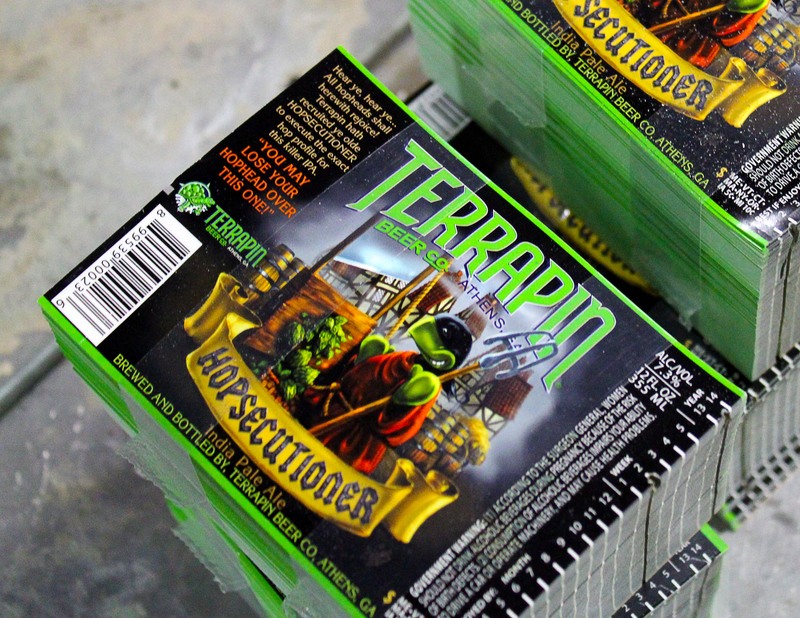 The two became friends and, while working together, came up with the beginnings of what would become the Terrapin Beer Company. “When we started it was really kind of a joke.” Spike said. The story begins with Spike and John attending an Opening Day Atlanta Braves baseball game with their manager from the brewery. On the following day the manager was given a tongue lashing from the brewery’s owner for leaving work early to go to the game. The three were given penance of using rollers to tar the company parking lot. While working on the parking lot, Spike and John began talking about opening their own brewery. Spike, being a huge fan of the Grateful Dead, tossed out the name Terrapin for the group’s album Terrapin Station. “It’s slow, it’s steady, it’s a turtle, and it rolls of f the tongue,” Spike said of the name choice. The name stuck, but at that point that is all the two friends had. Around that time, John found a book about how to write a business plan. He began working on the plan for their dream as he read through the book and completed the exercises it contained. “We didn’t know what we were doing,” John said of writing the plan. Nevertheless, for a year and a half he plugged away at it until finally it was done. John decided to leave the brewery where he and Spike had met and learn another aspect of the beer business. With that, he began working for a distributor in North Georgia. The experience paid off by providing him with a foundation for marketing and distribution of his brand. Spike went to work for an upstart brewery in the heart of Midtown Atlanta called Black Bear Brewing Company. 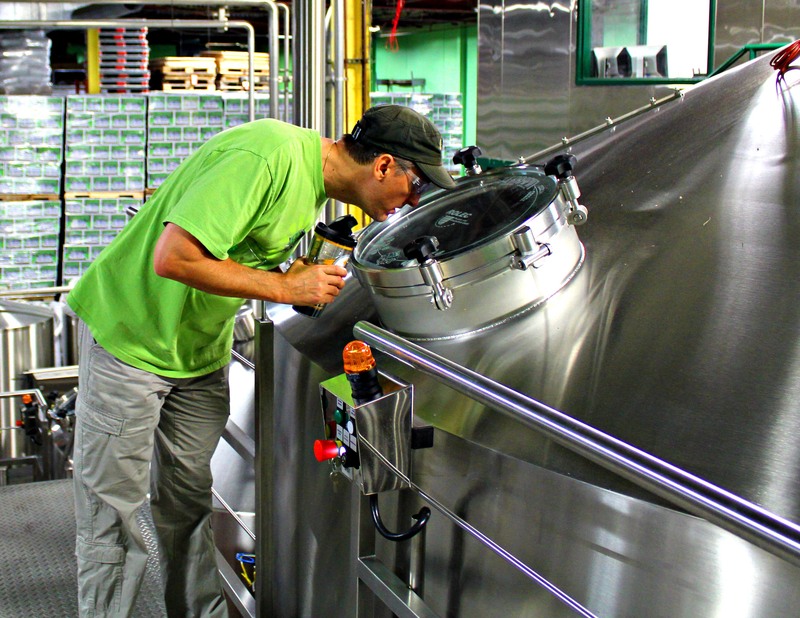 He approached the owners with the idea that he and John could contract brew at their brewery to help them keep their tanks full and operate more efficiently and cost effectively. Unfortunately, a month before the brewery was set to open, Black Bear ran out of funding and closed up shop. Soon after that, 9/11 happened and the friends were left without a brewery for their beer. “Every hurdle that could possibly happen to us, happened,” Spike said of the situation. But, they did not let these set-backs slow them. The two worked out a deal with Dogwood Brewing Company in Atlanta and began contract brewing their beer for draught only distribution to Athens. Their first beer was their Rye Pale Ale. The brew, developed by Spike, was entered into the Great American Beer Festival judging and came away with a gold medal. The young company’s first beer, in its first year had won one of the most prestigious awards in brewing. The next year, in 2005, Georgia dropped its restrictions on brewers that limited them to beers with an ABV of less than 6 percent. That year Terrapin introduced a number of new brews including Wake ‘N’ Bake the pitch black coffee oatmeal stout made from a premium blend of Costa Rican, Guatemalan, and Zimbabwe coffee beans. The beer weighed in at 8.1 percent ABV and delighted both beer and coffee lovers throughout the the brewery’s distribution area. In 2006, the operation was moved back to Atlanta where they took over a defunct brewery not far from another Georgia beer icon, Sweetwater Brewing Company. The company continued to grow and the search was once again on for larger facility, this time back in Athens where there beer was well established and in high demand. As was normal for the duo, adversity once again raised its head. At that time in Georgia, the state was trying to limit tap rooms to be able to serve on one ounce samples during brewery tours. Samples of that size were barely enough to taste a beer and breweries like Sweetwater, Red Brick and Terrapin mounted a campaign to sway the decisions of the law makers. It took months and months before the state finally granted a license to the brewery. 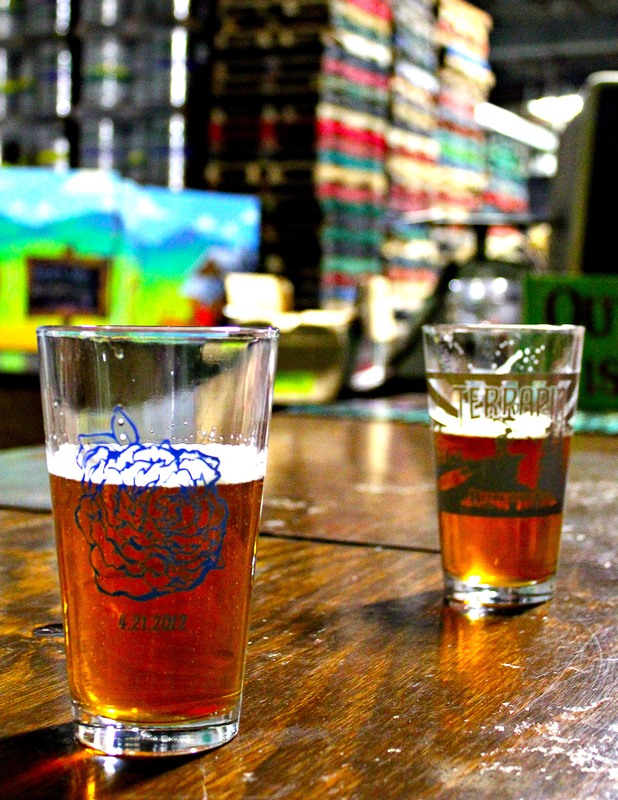 But, in 2007 Terrapin was up and running in their Athens, Ga. brewery. Today the brewery produces 20 to 23 different beers a year including their seasonals and special releases. As our conversation wound down I asked the two Georgia brew barons their thoughts on the future of craft beer. But Spike sees it a little differently. “I see a shakeout coming in 2015,” he said. “Local is everything and I want to drink local, but I want to drink good local beer.” He mentioned that superior brands like Sierra Nevada were losing tap handles to inferior local brews simply because they are local. He also thinks that price wars are not far off either. When a local brewery has to compete with larger national craft breweries the economy of scale is difficult to overcome.